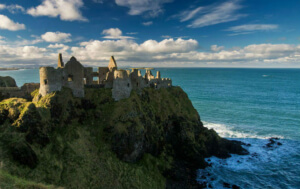 Ireland has a long history as a place of retreat. It stretches back to the 7th century when monastic hermits sought out tranquil valleys and lakes for a touch of quiet contemplation. And those chasing a spot of relaxation still look to pockets of the Irish wilderness to this day. So what is a retreat? The Good Retreat Guide calls them “a modern answer to modern living”. We like to think of them of as an oasis of calm and peace, ripe for recharging and rest. These days retreats come in a wide range of formats, but all promise soothing relaxation. 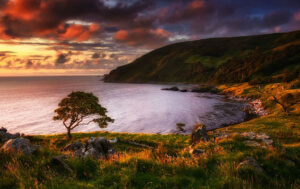 Ireland’s rich Christian heritage has ensured plenty of spiritual retreat options, while anyone looking to detox their body rather than their soul should head for a health farm or destination spa. All you need to do is close your eyes, breathe deeply and relax. In Cork, the Tibetan Buddhist centre Dzogchen Beara welcomes visitors of all faiths. Perched in an astoundingly beautiful edge of the peninsula, its meditation garden is famous for its soul-shaking views, while the meditation courses will also fill that requirement. Dave knows that location is key for the experience, which is why he set up in the west of Ireland; “the pace of life is so unrushed – almost like stepping back 40 years in time”. 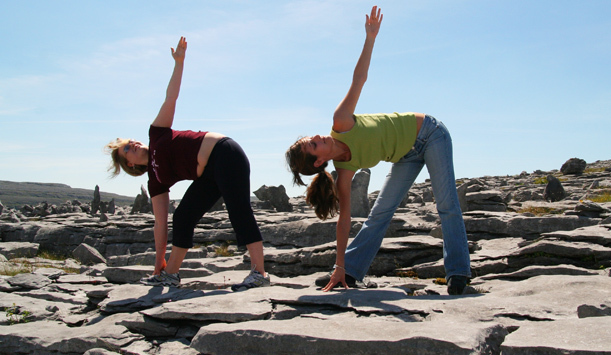 His center uses the “spectacular scenery” of the Burren landscape to breathe fresh air into yoga practice – literally ­– with some classes on a cliff overlooking the sea. Gabriele Tottenham of the Blaney Spa came from her native Germany to Fermanagh 30 years ago and was so taken with the place that she stayed. Her log cabin spa on the shores of Lough Erne offers a soothing mix of yoga classes, a hot tub, sauna, and massage therapies. In the beautiful Clew Bay, relaxation is serious business at Macalla Farm. They run several retreats combining yoga with vegetarian cooking, meditation and horse riding. In St Kevin’s idyllic lake valley of Glendalough, the Glendalough Hermitage welcomes people of all faiths seeking spiritual renewal through retreat and pilgrimage. 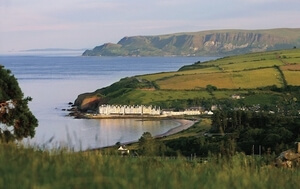 Antrim’s Drumalis Retreat Centre, managed by the Sisters of the Cross and Passion, also runs a program of retreats and workshops. The Sunday Times London named Ard Nahoo in their top five retreats. 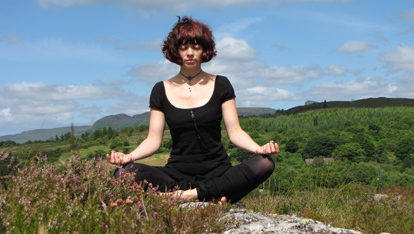 The eco retreat in the North Leitrim Glens mixes gorgeous surroundings with therapies and yoga. Of course, some people only need “me, myself and I” for their retreat. In that case, the luxurious surroundings of Carlow’s Moongate Lodge can be rented. 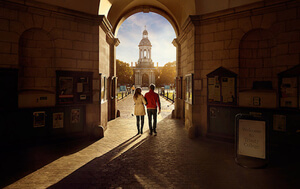 Irish newspaper The Sunday Independent declared: “Moongate is an ideal place to seek out your own spiritual renaissance”. “Spiritual renaissance”… you’ve got to like the sound of that.